Can an active video game have a positive impact on a child’s physical fitness? Apparently not. Researchers looked into the question of whether giving a kid a new “active” video game, that required physical movement, would encourage them to move more than usual. They wanted to see if it would be beneficial to provide active video games to children who could not play outside because they lived in a dangerous neighborhood. Increasing physical activity in children is thought to decrease the risk of weight-related diseases such as heart disease and diabetes later in life. An active video game, such as “Just Dance” or “Wii fit,” allows children to engage in vigorous physical activity. This study tested if a child would engage in more physical activity after receiving a new active video game. 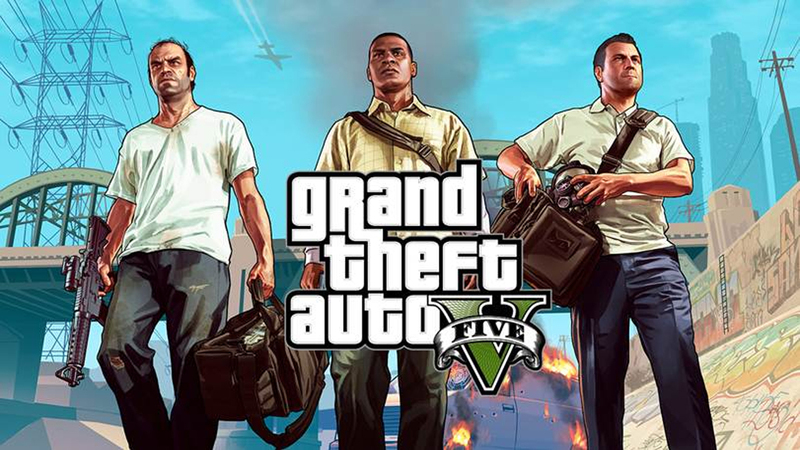 One theory suggested that the novelty of a new game, as opposed to a game that they had already played, would make a difference in the amount of activity. The participants were nine to twelve year old kids that were split into a randomized clinical trial. Half of the children got active video games and half got inactive video games. Their physical activity was monitored on accelerometers 5 times over 12 weeks. Each time, they were to wear their accelerometers for seven days straight. They also filled out activity logs. Participants were told that they would be allowed to keep the games and Wii consoles if they complied fully with the study instructions. There were 78 participants in this study and researchers reported that, surprise, compliance was very high because the kids really wanted to keep the game consoles. The results came back showing no significant increase in physical activity in the active game players when compared to the inactive game players. The researchers concluded that the use of active video games was not a good tool for increasing physical activity in children. This is important because the results show that even a game that demands your child to move his/her entire body will not make your kid significantly more physically active. 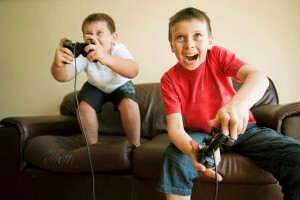 Even the lure of a new game would not induce an otherwise sedentary child to move more. I guess there really is no substitute for gym class. This entry was posted in Uncategorized on December 2, 2016 by Thomas Ward. Do Bilinguals use more of their brain? Anyone who learned a foreign language in high school knows that you spend a lot of time translating the things you see and hear from your native language to the foreign language and back. But what if you have two native languages? My mother is bilingual. She speaks both Spanish and English fluently, without accent and, according to her, without translating back and forth. She has been bilingual since she could talk, developing both Spanish and English language at the same time, around the age of one. My grandparents report that she never treated the two languages as the same language. She also never mixed the two languages and she never spoke the wrong language to the wrong person. Is there a difference in the brain activity of bilinguals who are bilingual at an early age, say five years old, compared to people who learn a language in early adulthood and beyond? Is my mom’s brain different from my own? According to one study, the answer is yes. Participants in this study, which was conducted in Los Angeles, were Spanish-English bilinguals who had mastered both languages by the age of ten. There were 12 participants studied. In all cases, the participants were native Spanish speakers who were exposed to English at the age of 5. In all cases, the adult participants were in their twenties and tested as English-Language dominant, meaning that testing identified their dominant language as English. During the study, participants were asked to name pictures. The prompt was given in either English or Spanish (“say” or “diga”) and the person was supposed to reply in the language of the prompt. The pattern of the prompt was changed during each set. Sometimes the languages alternated. Other times, the language was kept constant. Researchers wanted to know what happened in the brain when bilinguals were asked to switch languages frequently. Studies have shown that early Spanish-English bilinguals show little evidence of separate neural systems for each language. In other words, they don’t translate in their heads. The theory was, then, that they operated as if everything was all one language. However, during the picture name game there was increased activity in Dorsolateral Prefrontal Cortex when switching between languages. The Prefrontal cortex is the region of the brain that works with long-term memory tasks, not language. It is not normally associated with language functions. 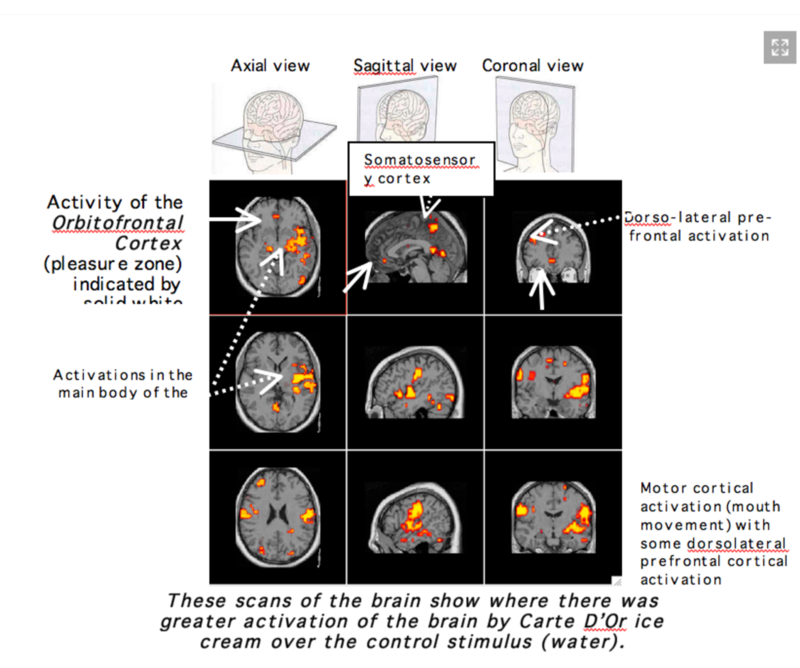 The parietal lobes which control the reception and correlation of sensory information were very active as well. The single-language tests revealed differences in areas used for language processing. 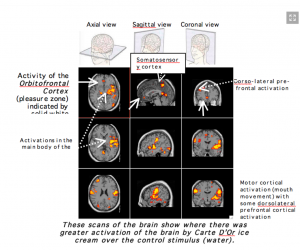 When the test required them to switch languages there was activity, not just in language centers, but also in areas of the brain involving memory, emotion, and feeling. This finding suggests that early bilinguals involve more areas in the brain than just the language centers when manipulating two languages. While this finding is interesting, I would like to see more research done. There were only twelve subjects. They are all bilingual starting at of the age of 5. What if the person is bilingual from birth, like my mother? Would that make a difference? Would her brain operate more like a mono-lingual or like a bilingual brain? This is relevant to therapy for brain injury. If an early bilingual person has a stroke that impacts language, do they have a higher chance of recovery because they use more of their brain for language? This is where I think the research should go next. Could someone change your diary entries without you noticing? According to this study, most likely. Would you change your memory to match your “new” diary? According to this study – Yes! This experiment, reported in the Journal of Memory and Cognition, studied how alterations to recorded memories affected the actual memories of the participants. Participants were shown slide shows of crimes. They then had to either report details of the event from memory or pick a suspect from a lineup. Their memories were recorded in reports. The reports were then altered. For example, if the participant chose suspect ‘A’ out of the line-up, the report was originally written as suspect ‘A’ and then changed to suspect ‘B’. At a later date, participants were given the altered reports to refresh their memories. Then they were asked to fill out the reports again from memory. This is the scary part – the majority of participants failed to notice any alterations and their memories altered themselves to match the forged reports. This is called the misinformation effect. The results are reasonably reliable because there was a good number of participants, over 160 and the study was very simple. Further study in this area would be very interesting because it implies that our memories are not as reliable as we thought. I would like to see it varied for different atmospheres, like stressful situations, or everyday tasks. This study is important because it shows how easily a person can be manipulated by altering a recorded memory. It impacts the legal system greatly. Witnesses use police reports, diaries and other records to refresh their memories before court. Witnesses also often hear other witnesses tell their version of events. If human memory can be altered so simply, then the exposure to alternate memories is more harmful. It also makes the accurateness of records like police records and court transcripts more important. This study shows that witnesses are unlikely to catch mistakes later on. If this is true, then mistakes can become facts, even for the person who filled out the report. Could MMO multi-player online games provide cognitive therapeutic benefit to brain-injured people? A study published in the Journal of Assistive Technologies explored that question. For those of you who don’t know, MMO stands for Massively Multiplayer Online game. Think World of Warcraft or Modern Warfare or any other game you can have your friends play along. Video games, such as Wii, are already in use in rehabilitation for people with brain injuries such as strokes. This study explored the possible benefits of the use of MMO games in rehabilitation. The study asked three brain-injured participants to log onto and play an online game at certain times over four weeks. The study required that the participants log onto a MMO game at the same time and play for specified periods of time. At the beginning of the experiment a baseline cognitive test was given. The test was repeated at the end of each week. The results were of the experiment were inconclusive. One of the problems with the experiment was that the participants were required to log on at the same time. Participation logs showed that the patients did not always log on and play when they were supposed to. If this research is continued, researchers could do one of two things: design the experiment so the participants don’t have to log on at the same time, or design the experiment so participants play in a controlled environment so researchers are sure that they are playing at the same time. Another issue with this experiment was that it only included three participants. This is likely necessary to help develop the protocol and figure out where the problems are (like the log-on issue), but it makes the results unreliable at this time. I hope they continue with this research with more participants. Brain injuries are a serious problem. 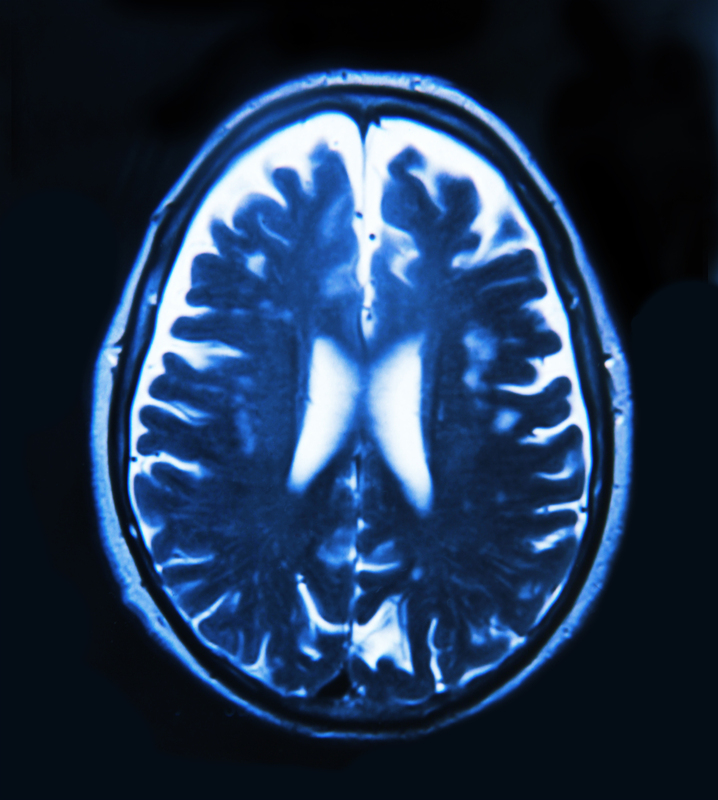 Strokes, car accidents and illness can leave people with impaired brain-function. While there are already therapies that help people recover from these tragic events, this research, if pursued, could show that MMO’s could be another form of rehabilitation available for use. Can video games improve attention and focus? My mother always said that TVs, smart phones and video games were turning my brain into mush. She might be wrong about the video games, but she was probably right about the smart phone and TV, especially when used at the same time. Researchers at the Universities of Rochester and Wisconsin performed an experiment on the effects of technology use on attention and cognition. The experiment defines two forms of technology usage that impact cognition. The first is media multitasking. Media multitasking is defined as being able to use two or more media technologies at the same time, such as looking at social media while both texting and watching TV. The second is playing video games. For the sake of the study they used action video games. Previous studies show that high levels of media multitasking are associated with an inability to ignore distractions, or a lack of focus. Playing action video games on the other hand is proven to enhance attention. This study asked the question: Does heavy gaming, which enhances attention, soften the negative effects of media multitasking? The short answer is: Yes. Participants were asked to fill out questionnaires regarding their media use and their video game use. These questionnaires were used to categorize participants as light, medium or heavy multitaskers, based on number of media tasks performed concurrently. Video gamers were categorized based on the number of hours per week they played games. Once the participants were categorized on both scales – multitasking and gaming – they were given four tasks to complete that required various levels of attention. Interestingly enough, the middle media multitaskers performed better at completing the tasks than the light and heavy media multitaskers. But gamers tested outperformed the non-gamers at all levels. So, for example, non-gamer, light media multitaskers performed worse than gamer, light media multitaskers. This result led to two general conclusions. 1) Media multitasking negatively affected performance of the experiment tasks. Medium multi-tasking impacted attention the least, but if pushed into heavy multi-tasking, attention was very negatively impacted. 2) Gaming seemed to offset some of the negative effects of multitasking on attention. The surprise was that, once multitasking was considered heavy, gaming had little or no positive impact on attention. The study appears designed to allow it to be compared to previous studies, which in my opinion makes it more reliable. Researchers used the same media-usage and gaming questionnaires as previous studies. This makes the use of previous findings in this research more accurate. Researchers also used the same attention tasks as previous researchers to measure attentiveness and cognition. These two points show that these researchers were careful to design their study to be compatible with previous studies of the same subject so the results could be considered a continuation of the previous study. Unfortunately, there were only 60 participants in the study, and they were all college age. This limits the results applicability to, for example, the aging brain. It would be interesting to see how these results would hold up with more participants at varied ages. Nevertheless, this study is important because it suggests that playing video games can be useful for improving attention. It also acts as a cautionary tale. It appears that heavy media multitasking contributes to lack of attention and, in extreme cases, video game use does not help offset that negative effect. Use one electronic medium at a time. Moderation is best – just like my mother told me. You don’t need 8 glasses of water. This is a public service announcement. You don’t need a set amount of water each day to be healthy. Associate Professor Michael Farrel and PhD student Pascal Saker of Monash University have performed a study that shows that excessive water drinking actually hurts you. The study was conducted in two parts. The first part of the study was to determine the effort it took to swallow water when thirsty after exercise. Not surprisingly, the participants reported that there was no effort required in swallowing water when thirsty. The second part of the study was to determine the effort it took to swallow additional water after already drinking a large amount water. The results this time were that it took about three times more effort to swallow the extra amount of water. The body’s natural resistance to swallowing water when the person is fully hydrated indicates that the ability to swallow gets impaired after drinking water excessively. Using an fMRI, Farrel and Saker watched for brain activity specifically before swallowing the water. The study showed that the frontal cortex of the brain activated the swallowing inhibition. 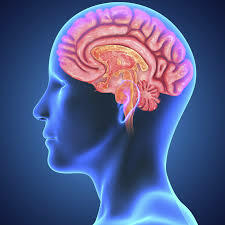 The scientists concluded that the swallowing inhibition is how the brain balances how much water is in the body. 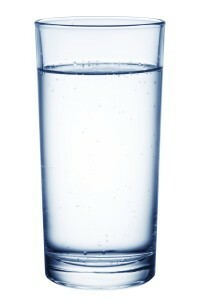 If the body has too much water already, it is harder to swallow additional water. This overdrinking will not just impact your swallowing, or your bathroom habits. 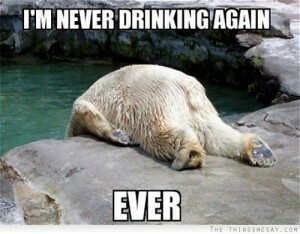 Drinking too much puts the body in danger of intoxication, or hyponatremia. Hyponatremia occurs when the sodium level in your blood is dangerously low. The symptoms range from lack of energy and nausea to convulsions and coma. And this knowledge isn’t new. In September 2008, a 47 year old British hiker died due to hyponatremia. Her husband said she drank a large amount of water and ate almost nothing before hiking the 6.2 miles across the Grand Canyon. I’m sure she drank so much water before hiking because she was following advice and trying to avoid dehydration. In fact, any athlete can recite the coach’s pre-contest mantra: “Hydrate, hydrate, hydrate!” This study proves that just drinking eight glasses, or pushing large amounts of water to hydrate, without paying attention to your body signals, can actually be harmful. While you should always be careful to stay hydrated in daily life and during exercise, you should also listen to your body. If it seems difficult to swallow the water you are drinking, stop. You are fully hydrated or your sodium levels are low. Instead, Farrel and Saker suggest that you just drink when you’re thirsty, not on a schedule. Monash University. “Do you really need eight glasses a day? Study challenges idea of mandatory water intake.” ScienceDaily. ScienceDaily, 7 October 2016. <www.sciencedaily.com/releases/2016/10/161007111027.htm>. This entry was posted in Uncategorized on October 20, 2016 by Thomas Ward. Polygraphs can’t be trusted, so why are they still used? Polygraphs, or lie-detector tests, are used by law enforcement and employers to determine whether or not someone is telling the truth. This is how they work. Four sensors keep track of a subject’s breathing, pulse, blood pressure, and perspiration. Sometimes two more sensors are added to track arm and leg movement. The subject is asked three simple questions to establish a base measurement. Then the real questions are asked and the subject’s monitored breathing, pulse, blood pressure and perspiration readings are recorded on moving paper. The examiner can look at the paper at any time to see what result a question may induce. According to Russell Tice of the NSA, the tester also looks at your physical reactions when asking the questions to which they think you will lie. That sounds simple enough. But why doesn’t it work? Actually, even a well-trained examiner’s interpretation of a lie is completely subjective; and people react differently to lying. Tice says you can set the machine off by lying to certain base questions and biting your tongue at the same time. Did you ever lie to your parents? Have you ever stolen money before? Say ‘yes’ and bite your tongue. 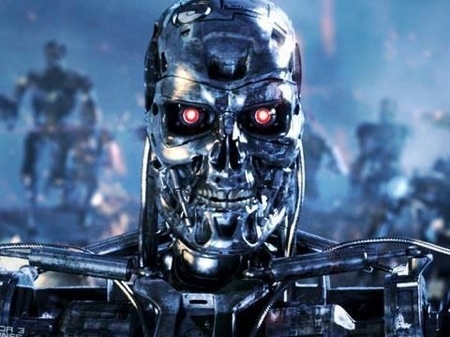 The machine will react to the lie and the pain and produce a big reaction. This makes the examiner believe you are easily made nervous when confronted with a question where you have to lie. But, in fact, the examiner is basing that conclusion on exaggerated results. Your reaction to a real lie might look tame by comparison. Another tactic is calming yourself so you will not set off the machine when you lie. Tice indicated that daydreaming will calm the nerves which will throw off the results. A practiced liar may also be able to fool the machine by faking a cold or tensing certain muscles to make a known truth set off the machine, so truth and lie become indistinguishable. Based on the fact that polygraph accuracy is fragile, producing both false positives and false negatives, is it time that people stop using polygraphs? At the beginning of my research, I was ready to wipe polygraphs off the map. They were inaccurate and unfair, with false positives and false negatives, hurting the honest and not detecting the dishonest. Several state governments and courts even agreed with me. Many will never allow the use of a polygraph result as evidence. In Federal Court, both sides must agree that the results are accurate before the results are admissible. The Employee Polygraph Protection Act (EPPA) actually prohibits employers in most types of jobs from using a polygraph to hire someone or fire someone. Why would anyone use any scientific tool that is so unreliable? It turns out that, in many applications, the results of a polygraph don’t matter and aren’t used. Some of the most effective uses for polygraphs actually have nothing to do with their results. Law enforcement uses it to get people to confess. After a polygraph, the tester or interviewer can hint that the results aren’t looking good and advise the defendant to just fess up. Employers use it to keep applicants honest. Employers have found that when an applicant thinks that they will have to take a polygraph, even if they never do, it influences their behavior. Applicants asked to take a polygraph tend to fill out applications more honestly. Also, undesirable employees, with something to hide, don’t apply at all just to avoid taking the polygraph. Like a placebo, the test is used to induce a certain behavior or result. The results are irrelevant to the process. Isn’t it ironic, that the best use of lie-detector tests is to lie to the subjects taking them? What is a violent video game? There is a lot of talk about how violent video games make people violent. But what is a violent video game? Stereotypically violent video games are usually rated M for Mature or AO for Adult Only and are very graphic, meaning that they include a lot of blood and gore and can often be realistic. The following games are most often used as examples of stereotypically “violent” video games: Metal Gear (rated M, originally released in 1987), Mortal Kombat (rated M, originally released in 1992), and Grand Theft Auto (rated M, originally released in 1997). In contrast, the following games are generally considered non-violent and are all rated E10+ or lower: Little Big Planet, Super Mario, and Wii Sports. The major differences between these games and those considered violent is the graphic nature of the “violent” games. The more blood and gore included in a game, the more violent it is perceived to be. Cartoon and Fantasy violence is allowed in games rated E10+ or lower. 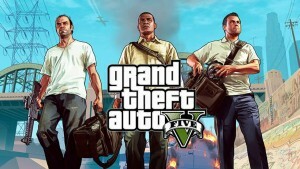 However, the player can manipulate the game to make it more violent. In “Little Big Planet” (rated E10+), the game is a blank canvas. Everything is up to the player’s imagination. If a toddler played it, the game would likely be about a cloth doll, dressed as Spiderman or a princess, swinging from a string. But if the player wants to incorporate blood into their game, for example after something falls or explodes, there will be blood. This is a reflection on the player, not the game. Further, several other seemingly harmless games would be considered very violent just by adding blood spatter to existing moves. For example, in “Super Mario” (rated E), if blood squirted every time you jumped up and squished an enemy’s head, the game would be a bloodbath. And, in Wii Sports (rated E), if Wii boxing left bruises on the Mii’s faces or stomachs, or allowed the Mii’s to bleed when punched, the game would likely be found to be too violent for an E rating. Based on the rating system, the violent act appears to be defined by the blood spatter and not the aggressive act itself. The depiction of blood or realistic victims of violence is a common component of the objectionable games. However, it appears that many non-violent games use aggressive behaviors as part of regular play and, with the addition of blood spatter, would likely be considered very violent. With this loose definition of violence, is the rating system accurate? Should we be judging and rating the games on the acts of the characters or just on the blood and gore? And is removing the blood and gore enough to bring the rating of a game down? Given that violence is a major criteria in the rating of games, this definition should be standardized before it is given weight in the rating system. Is the 5 second rule real? 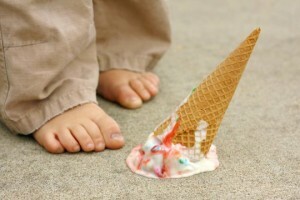 Does the five second rule have any truth to it? Rutgers University says “No.” Scientists at Rutgers University have confirmed that food dropped on the floor doesn’t just get dirty, but actually picks up bacteria. The transfer of bacteria is largely related to how much bacteria is on the floor and how much moisture is in the dropped food. This study agrees with a 2014 study written by Loyola University’s health system that claims that even if you wash the food after it touches the floor, it will still have bacteria. The Director of Infection Prevention at Loyola University says that everything that comes in contact with a surface will pick up bacteria that live there. How much bacteria depends entirely on the surface you placed it on. Oddly, scientists at Aston University confirmed that picking up food sooner is less likely to contain bacteria. Anthony Hilton, Professor of Microbiology at Aston University said eating food off the ground still carries a risk of infections depending on what type of bacteria is on floor but the actual transfer of bacteria was influenced by the amount of time the food was on the floor, along with other factors. Researchers went so far as to determine that carpets have the lowest risk of transferring bacteria, immediately followed by indoor flooring surfaces. All three studies essentially reached the same conclusion: If your food falls on the floor, bacteria attach right away. Don’t eat it unless you don’t mind eating contaminated food. Loyola University Health System. “Five-second rule has plenty of bugs, says expert.” ScienceDaily. ScienceDaily, 18 July 2012. <www.sciencedaily.com/releases/2012/07/120718143602.htm>. Rutgers University. “Researchers debunk ‘five-second rule’: Eating food off the floor isn’t safe: Sometimes bacteria transfer in less than a second.” ScienceDaily. ScienceDaily, 9 September 2016. Do Backups interfere with the main goal? Want to reach a goal? Try flying without a net. Always having a backup plan is good, right? Maybe not. Studies have been conducted at University of Wisconsin-Madison’s school of business to determine what effect a backup plan has on goal achievement. Researchers Jihae Shin and Katherine L. Milkman performed an experiment by giving two groups of participants sentence unscrambling tasks. 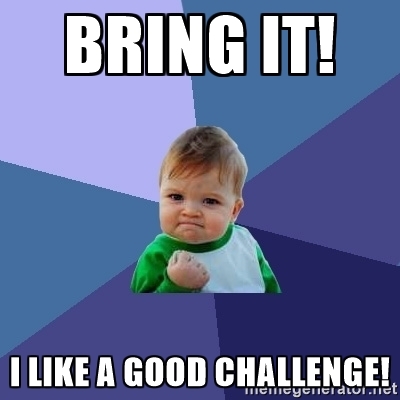 Some participants were told that if they did well they would be given free food and an early dismissal. Other participants were instructed to come up with other ways to get free food because they didn’t do well enough. During the experiment, those who made backup plans did not do as well as the group where success was the only option. A second experiment revealed that the Plan B students did poorly because they didn’t want to accomplish the goal as badly. Researchers believe that this has something to do with reducing the amount of risk involved in failure. The researchers don’t claim that having backup plans is bad, but indicate it does have costs. They suggest that more studies need to be done regarding the effect Plan B has on motivation. Researchers at the University of Zurich suggest that having a well-developed Plan B can change the way we pursue Plan A. In some cases, having a Plan B can increase a person’s confidence, helping reduce stress in goal achievement. However, the act of creating a detailed Plan B can actually distract from pursuing Plan A, so Plan B becomes the most likely path, according to the scientists. While these theories go against everything our parents ever taught us, they do make sense. If you are all-in on a plan, you are 100% focused on that plan because you have no alternative. However, scientists may be being a bit harsh. You usually make a detailed Plan B when Plan A has a high likelihood of failure. Very few people get through the college application process without applying to a safety school. It would be too stressful otherwise. This doesn’t mean you aren’t trying hard to get into your favorite school. It just means, in the end, you recognize that your stretch school is just that, a stretch – a risk. My grandfather used to say that there are ten ways to accomplish any goal. Only two are superior, only two are horrible, and the rest get the job done. I’m not ready to give up on Plan B. Sometimes you just need to get the job done. University of Wisconsin-Madison. “Backup plans may keep you from achieving your goal, research shows.” ScienceDaily. ScienceDaily, 11 August 2016. .
University of Zurich. “Making backup plans can be a self-fulfilling prophecy.” ScienceDaily. ScienceDaily, 1 December 2015. .
Hello, My name is Thomas Ward. I am from Alexandria, Virginia, and a recent graduate of Bishop Ireton High School. I took this course for several reasons. I think science is interesting and my counselor suggested it as a good class to take. I also believe that learning how to frame a question or issue is a good skill for any major. Finally, I didn’t want to take Spanish. I am not a science major because I already have an idea of what I want to do. I want to be an accessibility specialist. I want to learn about systems that help people with disabilities gain access to information. While my education will have a science component, I really need classes across a lot of majors to be prepared for my career. I would like to eventually work somewhere like the Target Center at the USDA (http://www.targetcenter.dm.usda.gov/about-TARGET). The Target Center houses all of the assistive technologies available to federal government workers. I am looking forward to this semester and learning how to better frame a research. This entry was posted in Uncategorized on August 31, 2016 by Thomas Ward.